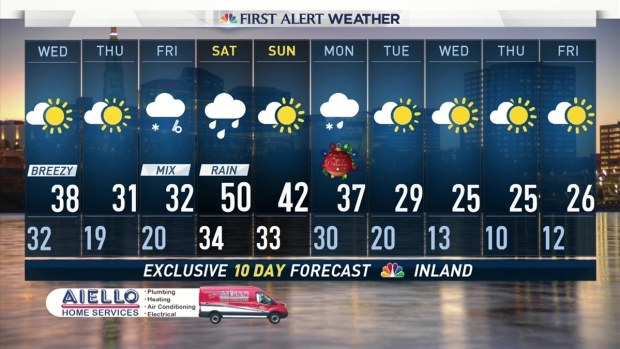 A wintry mix. A mixed bag. A kitchen sink storm (a Bob Maxon-ism). Friday could be all of the above. A warm front pushing into southern New England along with a cold high pressure to the north is a bad combination. Some snow, some sleet, some freezing rain and some rain. How much of each remains the question. 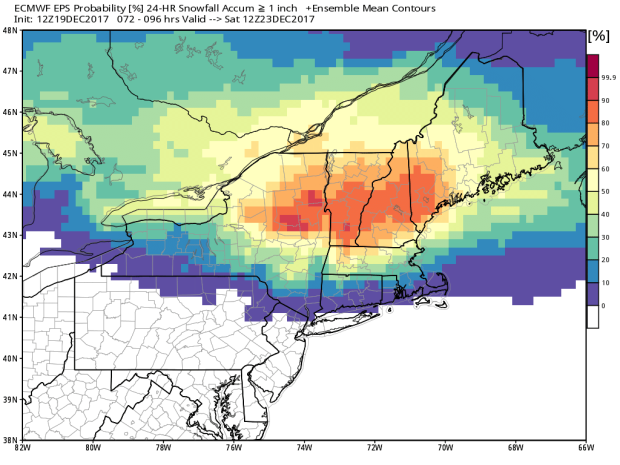 In terms of snowfall at this point the odds of >1" of snow remain low - about 1 in 4 or so. What you can't see, however, is the potential for icing. A cold high pressure (strengthening) to our north over Maine, Quebec, and New Brunsiwck should provide a nice wedge of cold over southern New England. 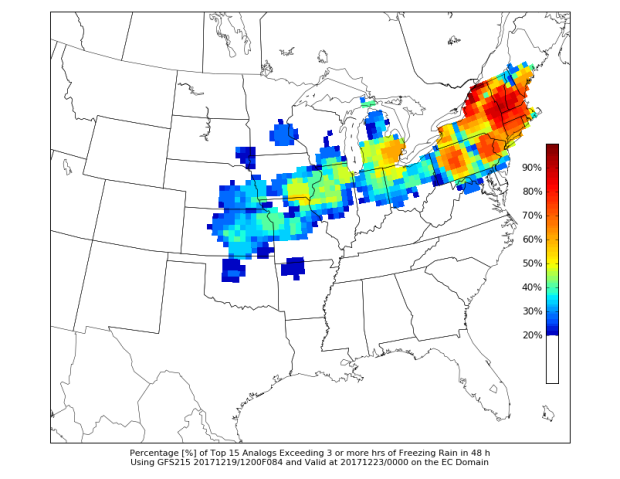 The analog guidance is showing high probability for over 3 hours of freezing rain throughout southern New England. Given the look and setup this isn't a surprise. 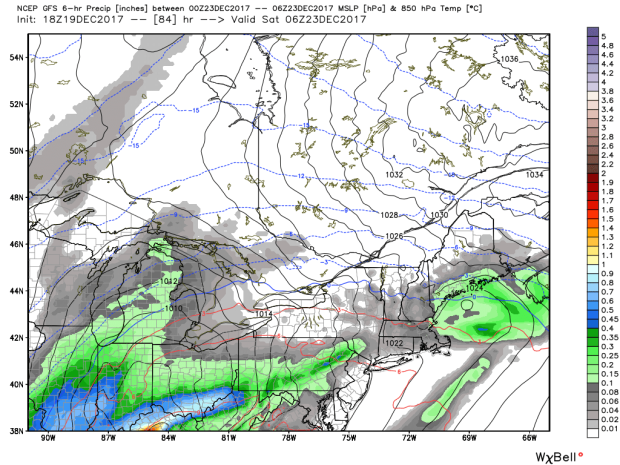 At this point we're expecting a period of snow, sleet and freezing rain Friday through Saturday morning - gradually changing to rain. Some ice accretion is possible on roads, power lines, trees, etc. At least initially what we get on Friday should be light but enough to cause issues on the roads. There may be a brief break Friday evening/night before another round of icing across the interior Saturday morning.